From Italian: " Decorated with Flowers"
The name of the cream was inspired by the famous Festival of Flowers which take place all over Italy in May and June. Butyrospermum Parkii (Shea Organic Butter), Aloe barbadensis leaf extract, Cocos nucifera (coconut) oil, Persea Gratissima (Avocado) Oil, Prunus Armeniaca (Apricot) Kernel Oil, Carthamus Tinctorius (Safflower) oil, Simmondsia chinensis (Jojoba) Seed Oil, Rosa canina fruit oil, Plukenetia Volubilis (Sacha Inchi) seed oil, Opuntia Ficus-Indica Seed Oil, Bulgarian Rosa damascena, Gardenia jasminoides (Gardenia) enfleurage oil , Acacia decurrense (Mimosa) oil, Michela alba (Magnola blossom) oil, Citrus aurantium var. amara (Neroli) oil, tocopherol. 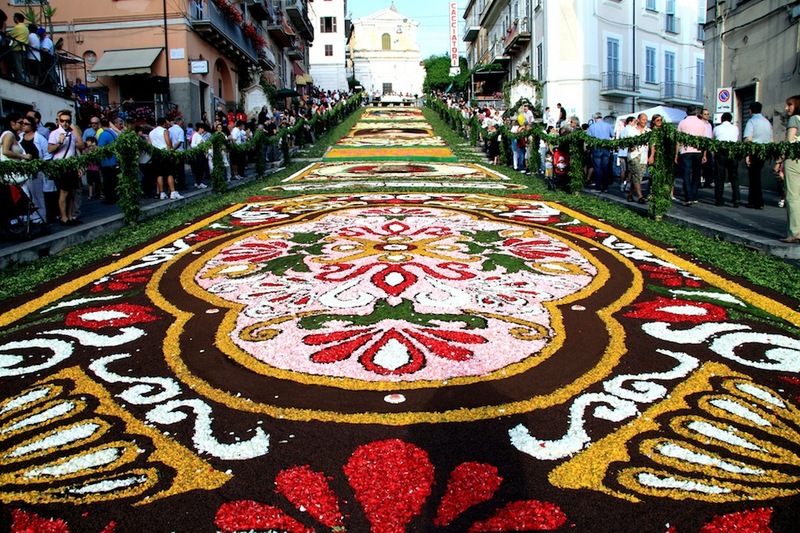 During May and June, Infiorata festivals are held in various Italian towns : some of the most famous Infiorate festivals are in Noto (Sicily), Genzano (Lazio) and Spello (Umbria). 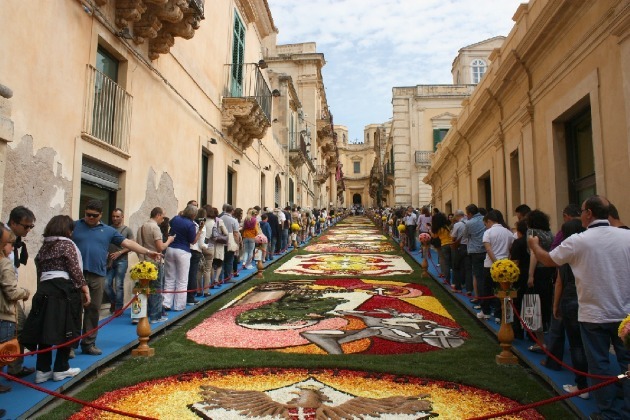 The word "infiorata" literally means "decorated with flowers" and this is exactly how the paintings created for the occasion are made, using flower petals, earth, and sometimes even beans or wood cuttings. 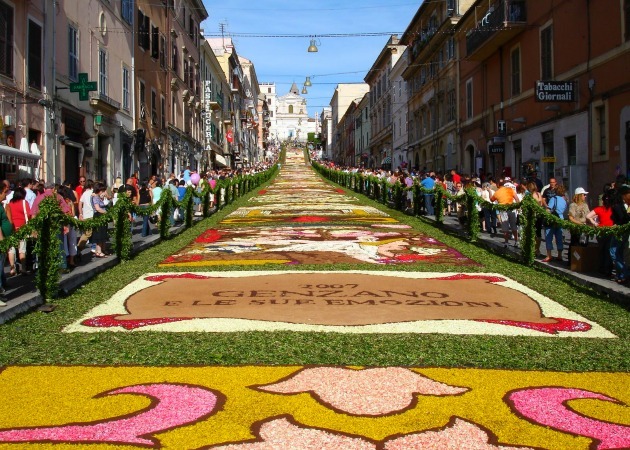 Tracing its origins to the 13th century, the Infiorata flower tradition as we know it today, dates back to the seventeenth century. 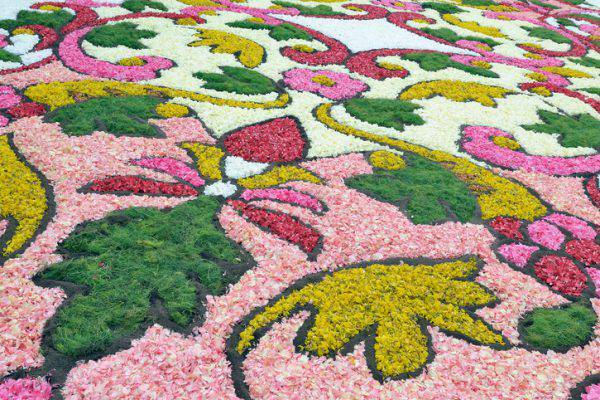 It seems that the first flower carpets were made on the 29th of June 1625 in the Vatican Basilica by Benedetto Drei, head-florist at the Vatican, and his son Peter, who used flower petals like mosaic's tesserae to decorate the basilica on the day of Saints Peter and Paul's feast, the patron saints of Rome.